Sunning on the beach is a great way to spend your holiday in North Devon, but if you want to see more of the stunning coastline near Woolacombe, a boat trip along the coast is a great place to start. You can take trips from Ilfracombe to see the variety of wildlife found in North Devon waters, see the cliffs from a different angle, or take a boat trip over to Lundy Island. Wildlife Cruises on Ilfracombe Princess The Ilfracombe Princess is a comfortable passenger vessel, purposely built to sail close to the coast, and you can enjoy sightings of seals, porpoise and dolphins, as well as enjoying sea views of the highest cliffs in Britain. Be sure to take a camera and binoculars, to snap pictures and see waterfalls, secluded hamlets and hidden coves up close. The Ilfracombe Princess sails east for the Exmoor coast cruise, or west for the seal cruise. 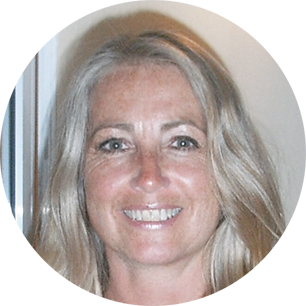 The trips vary in length so that you can choose from one hour, one and a half hour or two-hour cruises. Call 01271 879727 to book a trip. Lundy Island Cruises Lundy Island is like no other part of the country, and its location off the North Devon coast where the Atlantic Ocean meets the Bristol Channel must have something to do with it. It is remote, peaceful and lots of natural, unspoilt beauty. You can take a day trip to the island from either Ilfracombe of Bideford, and the journey takes around two hours on board the MS Oldenburg. From the boat, you can enjoy amazing views along the coastline, over to Wales and up the Bristol Channel. When you arrive on Lundy Island, you can visit a variety of monuments and listed buildings and walk its coastline. To book a day trip, call 01271 863636. 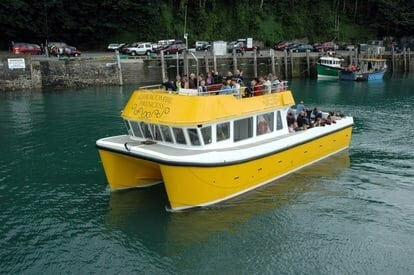 Ilfracombe Sea Safari The Ilfracombe Sea Safari boat rides are a great family activity, and the RIBS, Lundy Explorer and Pioneer can take you at 20 knots along the North Devon coast to search for dolphins, seals or porpoises against the backdrop of the dramatic cliffs. The RIB vessels are very stable, suitable even for those who are not comfortable on boats. Life jackets are provided, though weather appropriate clothes are recommended. There is also a chance to visit Lundy Island on an amazing wildlife experience to see the grey seal colony and maybe spot a whale! Call 07827 679189 to book your trip on the sea safari when staying at our holiday cottages in North Devon. Have a look at some of our blog posts for inspiration on things to do when you visit North Devon: Water sports to try in North Devon Hidden gems of North Devon.